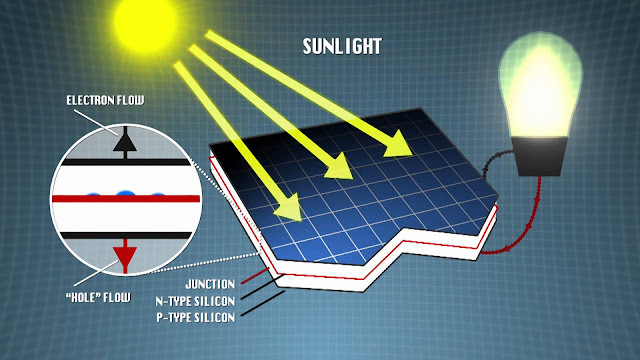 Home » Unlabelled » Operating principle of Solar Panel and What is P-N Types Semiconductor? Operating principle of Solar Panel and What is P-N Types Semiconductor? A solar cell or a solar battery is a device that is used to convert the light energy into electrical energy. This light energy is mainly the radiations from the sun, which is converted to electrical energy can be then used in the various forms in our day to day activities. The photovoltaic cell work on the three following principles. The first one of these three is the absorption of light by the photovoltaic cell. This helps in the formation of the electron-hole pairs or the excitons. The next process inside the cell is the separation of the charge carriers from the opposite poles. The final process is the extraction of the carriers to the external circuit. All these three processes together make up the working of the photovoltaic cell, which would help in the conversion of the light energy to the electrical energy. However, the use or the principle of this process can be better understood by studying the exact principle by which each of the above three processes takes place. 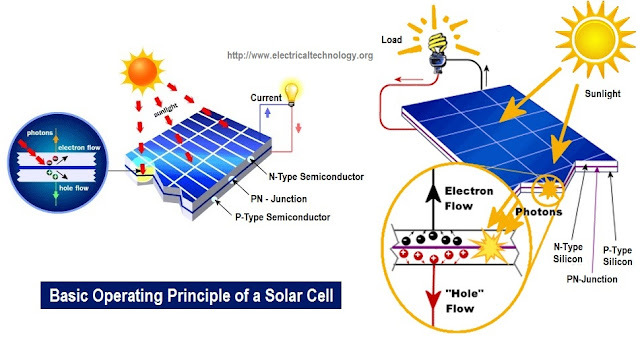 Thus, here is a detailed description of the principle of the solar cell or the photovoltaic cell. 1. It must be noted that the n-type and the p-type Semiconductor layers are to be stacked over one another. 2. The silicon crystals must be very well laminated. 3. The produced electricity is of DC type and thus should not be used for any device that accepts only AC, as that would lead to complete damage of the device. Having a complete knowledge of the Solar cells and also making sure of everything that is mentioned above, we hope that one would get the complete knowledge of the principle that is going on behind the photocells.